Newly upgraded CozyPhonesTM with lycra material, mesh lining, ultra-thin speakers and durable braided cord. These sleek sleep headphones provide the ultimate in cool comfort for sleeping, relaxing, sports or meditation. 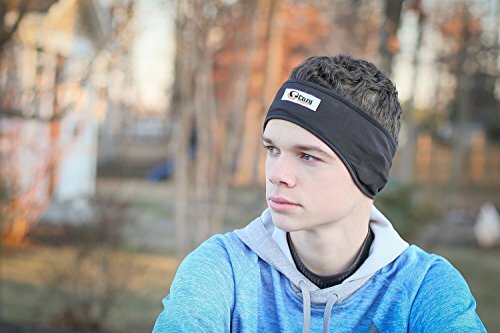 Embedded speakers in a lightweight, lycra headband are completely adjustable for the perfect fit. The perfect accessory for traveling. Our handy carry bag makes it easy to take your headband earphones with you, in the air or on the road. Wear our sleep headphones to listen to relaxing music, audio books, podcast, or anything via your iPod, Smartphone, CD/DVD player, or any devoce with a 3.5mm jack. Compatible with most music players. The wicking mesh liner contains thin removable speakers that plug into most audio devices with a 3.5 mm jack. 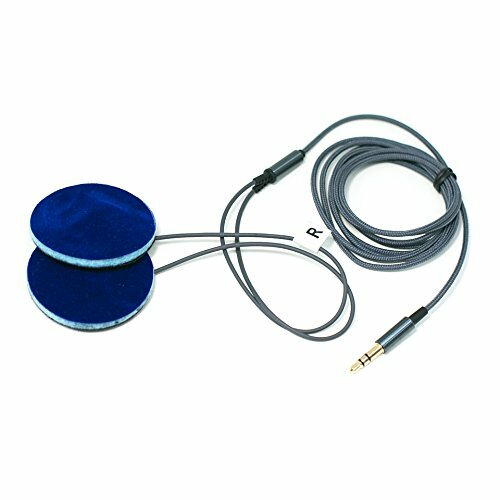 3016-32 Ohm Frequency Range: 20 to 20000Hz Rate Power: 20MW Maximum Power: 50MW Sensitivity: 120 +/- 4dB Compatibility. ENJOY BETTER SLEEP,TRAVEL AND RELAXATION, CLICK THE ADD TO CART BUTTON NOW!! 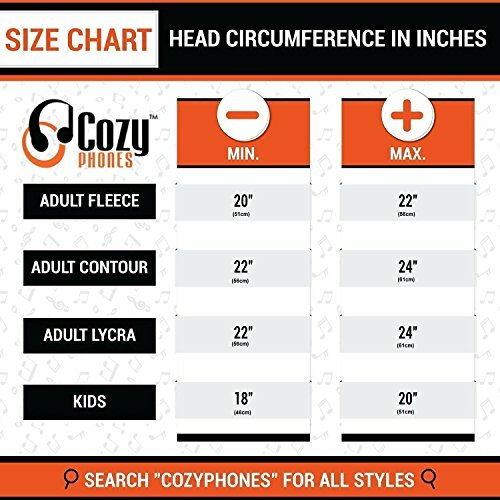 SUPER COMFORTABLE LYCRA HEADPHONES Includes a BONUS, TRAVEL BAG, ULTRA THIN SPEAKERS and a durable BRAIDED CABLE that will not tangle or kink. 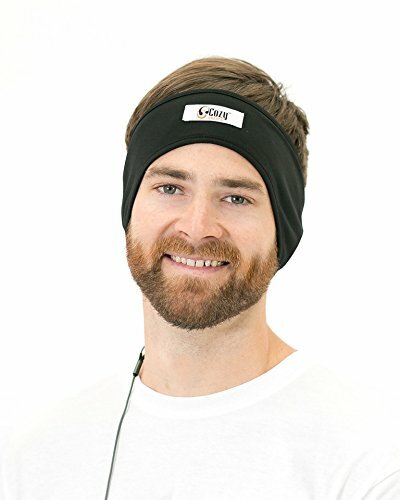 Lightweight, comfortable and washable sleep headband with adjustable speakers will give you the perfect fit. These CozyPhonesTM are the perfect aid for sleeping and battling insomnia. GREAT FOR THE WHOLE FAMILY – Use for sports, yoga, meditation and relaxation. Kids love ’em too! Ideal for children, college students, dorm life, shared apartments, noisy roommates, snoring spouses and co-eds. 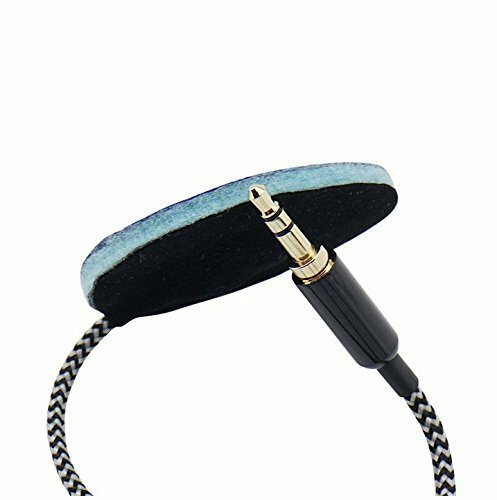 Will not hurt your ears like earbuds or other bulky earphone headbands. MADE TO LAST – with a flexible and durable 1.5-meter braided cord and sturdy 3.5 mm stereo plug. Will not kink, twist of break under normal use. Use with all your favorite devices like Apple iPhone, iPad, iPod, Android, Samsung Galaxy, Blackberry, Nokia, LG, HTC, Google Nexus, Lenovo, Asus, Sony, Dell, Toshiba, HP, MP3, MP4 and other audio devices. FINALLY GET A GREAT NIGHT’S SLEEP – Drift away while blocking sounds that keep you awake or calm your racing mind while you are relaxing in peace – 100% MONEY BACK GUARANTEE – CLICK TO ORDER NOW.